I think I have finally recovered from vacation. At least enough to write about vacation and post a few pictures. 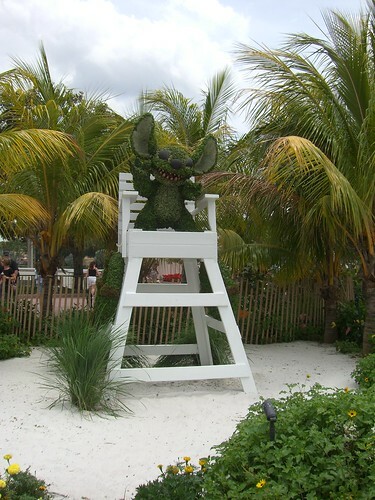 The first part of my trip was at Walt Disney World in Orlando, FL. I love that place. I can’t tell you how many times I’ve been there, but it really never gets old. 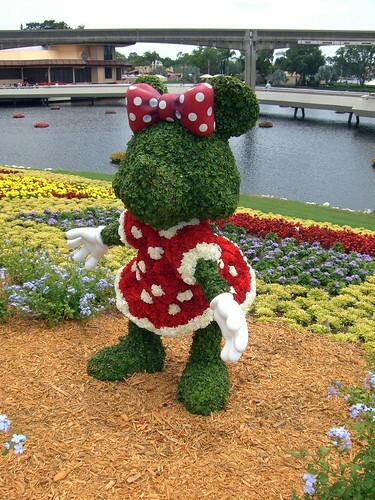 We went during the Flower and Garden Festival, which meant lots of Disney topiaries. But of course, it also meant lots of great traditional Disney sights as well. The weather wasn’t quite perfect – it rained a bit just about every day, but that kept temperature and the crowds down a bit. I can’t say that the rain ever ruined part of the day. Plus it was funny to see all those kids in plastic covered strollers. I understand the practicality and necessity, but the kids just looked like they were being wheeled around in little boxes. We ate at a bunch of great restaurants, but one big favorite was Raglan Road, a little Irish Pub over near Pleasure Island. So delicious. Having been there makes me want to consider training for the Disney Marathon again. Of course, I’ve not really been running much as of late, but I keep coming back to that marathon as one that I want to do “someday.” I think we might be talking doing it in 2010. Which is far away. And yet I still should get out and start running again. 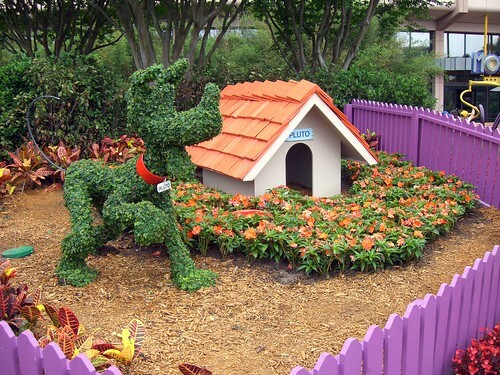 This entry was posted in Vacation and tagged disney, marathon, pictures, running, topiary by Megan. Bookmark the permalink.